A concrete pump is a machine that is used for the transfer of liquid concrete by pumping. 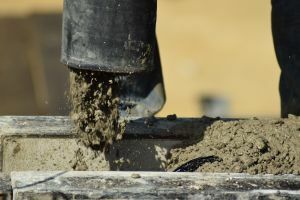 There are two main types of concrete pumps. The first type is usually attached to a truck, or longer units are on semi-trailers. This type is known as Boom concrete pumps due to its use of a remote-controlled articulating rotor arm to properly place the concrete. The second main type of concrete pump is either mounted on a truck or placed on a trailer and is referred to as Line Pump or Trailer mounted concrete Pump. It requires steel or flexible concrete putting hoses to be attached to the machineâ€™s outlet. The hoses are linked together and lead to wherever the concrete needs to be placed. Other types of concrete pumps include skid mounted pumps, and rail mounted concrete pumps. Since the inception of Equa Corporation in the 1960s by Joe Ciulla, the company has continued to specialize in the sale of concrete pumps and Putzmeister telebelts. The mission of Equa Corporation is to provide exemplary service to every one of its customers consistently. This is because our success as a company is dependent on them. We also strive to develop long-term and mutually beneficial relationships with our dealers, private sellers, and concrete pumps buyers. Our business is built on a reputation that stands for delivering the largest and most challenging jobs on time by bringing to bear a fleet of the biggest and most productive machines for the tasks. Equa corporations and concrete pumps USA is operated with a high level of ethics and business acumen and is very much tested and trusted. You can buy your top quality concrete pumps from our inventory. We have a selection of major concrete pump brands such as boom pumps, trailer pumps, telebelts, city pumps, laser screds, placing booms, mobile mixers and strong slingers. Our concrete pumps are of high quality, very durable and efficient. We also provide our customers with financial plans, loans and leading options for concrete pumps, telebelts, mixers, and shringers. Our unique financing programs include features that will enable you to acquire new or affordably used concrete pumps. Â Hence, if you are in search of the best and highest quality concrete pumps, we at Equa Corporation Concrete Pumps are just what you are looking for. We offer fast delivery and excellent quality. With our concrete pumps, you are better equipped for your projects as our concrete pumps have better efficiency than bucketing with a crane or dumping from a ready-mix truck. We are always happy and willing to serve you and thus strive for perfection in our dealings. We are much more different from others because we have a passion for service and thus ensure that you get the best concrete pumps for your work site. Our prices are very affordable even though they are of high quality. We also have qualified staff who always inspect each used concrete pumps for sale before delivery to contractors. Contact us today and come and get all your concrete pumping needs delivered in no time.